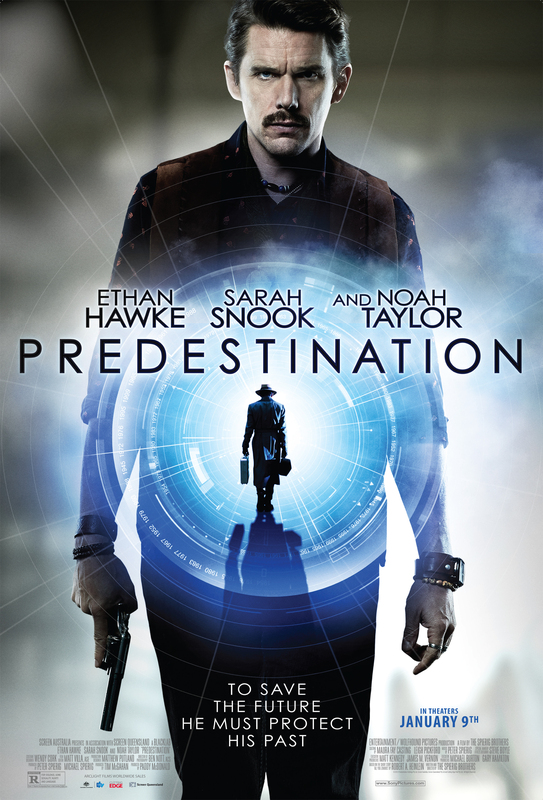 Predestination documents the life of a Temporal Agent (Ethan Hawke). His primary mission is to stop a serial bomber named Fizzle bomber, by going back in time. It appears that the criminal has managed to dodge the Agent from time to time with great ease. And that results in greater frustration and some strange obsession in his work. Suspense builds up as soon as the film opens, with a clash of the Agent and the Bomber. And the film manages to tighten its grip as it progresses. The Agent, masquerading as a bartender in the 1970s meets Jane who calls herself the Unmarried Mother (Sarah Snook). She promises him a story which would be the best story he has ever heard and tells him about her mysterious life. After listening to her story, the Agent promises her that he can take her back in time and give her a chance to kill the man who devastated her life. And that’s how it all begins. The film, is about in how many ways the Australian newcomer Sarah Snook. And how ridiculously stunning she is on screen. Not in terms of her gorgeous looks. But in pure performance. After watching the film, I Googled her and I couldn’t believe what she looks like in real life. At the age of 26, pulling off such a brilliant character is commendable. Her co-star Ethan Hawke agrees with me. Predestination is the Divine foreordaining or foreknowledge of all that will happen; with regard to the salvation of some and not others. It has been particularly associated with the teachings of John Calvin. The film is based on a short story written by Robert A.Heinlein who is considered by many, the most influential as well as controversial author of his time. The story is called All You Zombies. The lead character of the film, just like a zombie makes no decision on his own. He is mindlessly following his own footsteps. And in a way, as he kills himself, he is a dead man walking. The story brings some really good ideas (although not completely new) in picture. The time travel paradox: One might be able to figure out that the film is about a paradox when he/she first notices the song “I’m my own Grandpa”. What if you invent a time machine and go back in time to kill your grandpa before your father was conceived? That’s a paradox. In the film, the protagonist travels back and forth in time, causing his own birth and his own death, himself. Ouroboros: The film mentions the Greek symbol Ouroboros which is essentially a snake eating his own tail. The protagonist’s story has no beginning and it has no end, just like a closed loop. The greatest achievement of the film is that it involves you into the life of Jane. You feel connected to her and as she leaves her old self and accepts her personality as John, you too become emotionally detached from her life. It is really difficult to manage this. The film successfully twists your brain and touches your heart at appropriate times. I like films with some sense of redemption. This one has none. This has one of the best anticlimaxes I’ve seen in a while.